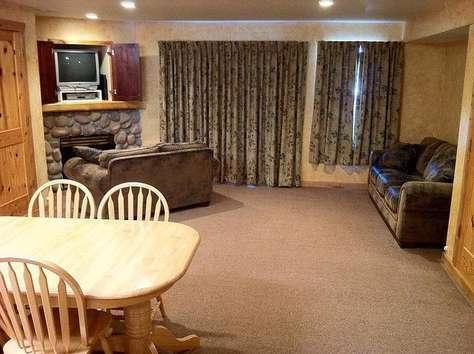 Fully stocked kitchen/living room with gas fireplace and 2 queen murphy-beds. 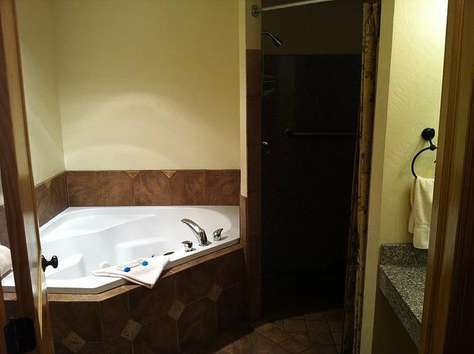 Bathroom with large jetted tub, walk-in shower, and double vanity. Large patio that overlooks the park grounds. This property has 2 Queen(s). 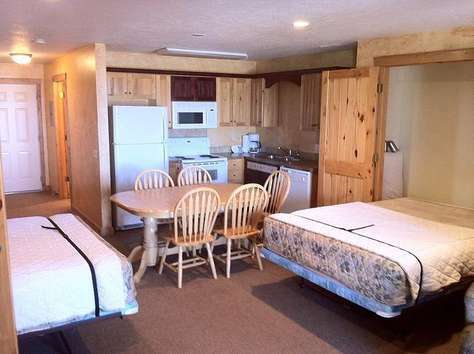 -All rooms require a 30% non-refundable deposit at the time of booking. will incur the entire cost of the room. -Remaining balance will be due on arrival. For cancellations, send emails to bluewaterbearlake@gmail.com or call (844) 946-5252. 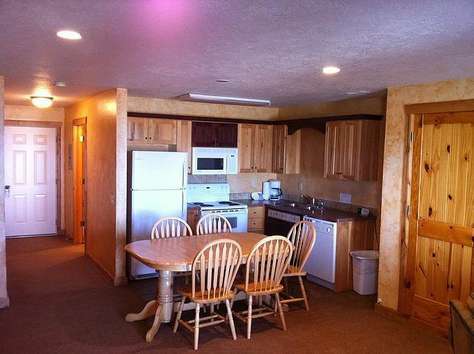 All reservations require 30% non-refundable deposit. 2126 South Bear Lake Blvd.